Discussion in 'Sesame Merchandise' started by BigBirdABCDEFGH, Sep 5, 2012. Six years after the release of Volume 1 (covering the 1969-74 period), and only five after that of Volume 2 (covering the 1974-79 period), brace yourselves for Volume 3 on DVD, covering the 1979-84 period! Not sure if any episodes containing the "Crayon Factory" segment are in the final contents. The 1983-84 season (episodes 1836 to 1965) will be the first to have the sliding words "CHILDREN'S TELEVISION WORKSHOP" in the end credits. Since I was born in 1981, I'd really be partial to a Volume 4 (1984-89) since those were the earliest episodes I'd seen. sesamemuppetfan, panmanthe2nd, Big Bird Fan and 2 others like this. This is great news indeed! It's about time. Sounds like this set will be worth the wait. Sesame Street Old School Volume 3 is available for pre-order for 30% off. Help support MC with a pre-order and a low-price guarantee. Wow, November 6 will be one of the biggest release dates of the year (next to March 20 of course). The releases include: The Muppet Christmas Carol Blu-ray, A Special Sesame Street Christmas DVD (A Special Sesame Street Christmas CD is coming to October 16) and now Sesame Street Old School Volume 3 on DVD as well. 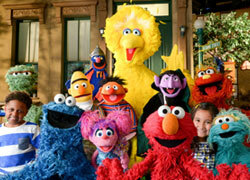 Looking back, here are our reviews of Sesame Street Old School Volume 1 DVD and Sesame Street Old School Volume 2 DVD. I hope that the bts footage isn't the same as the 40 Years stuff; the footage was mostly from this era and it would be very disappointing if they did that. Wow This is going to be really really cool! we had some very wonderful things happen during that time on the street and I'm looking forward to it! The old school sets are the best Sesame Street DVDs in the world.. I am so excited they're returning for Volume 3!! ... the only thing better would be a MOD thing where I could pick individual inserts.. I mean, imagine a whole DVD of Waiter Grover! Muppet fan 123 and BobThePizzaBoy like this. This is some of the best news I have had in days!! Hoping to see so many great songs and skits here, especially the song "That's What People Do"!! Can't wait!! I saw the headline on Facebook tonight... I LOVE this announcement! Just when I thought we've seen the last of the Old School releases and when I thought the "Best of Friends" would be THE classic clips release for the year. I wonder if this will be three discs like the others, or if it'll be two discs (three hour-long episodes can fit on one DVD... Though I noticed that this press release doesn't exactly say that it'll be five episode, or even all the season premieres. I hope it's all the premieres, but it only mentions two speciffic episodes). Hopefully the behind-the-scenes footage will not just be the same behind-the-scenes footage found in 40 Years of Sunny Days, most of which came around seasons 12-14. The A&E documentary has some early-1980s bonus footage that didn't make it to the 40th anniversary DVD (behind-the-scenes of Grover the singing and dancing waiter). I also noticed it says "never-before seen" behind-the-scenes footage. Here's hoping that's not false advertising (or miscommunnication). The promo for the first Old School actually has a brief behind-the-scenes shot from Don't Eat the Pictures, and that release didn't have any behind-the-scenes footage. Wouldn't it be cool if some of the behind-the-scenes footage came from Caroll Spinney's home movies? After all, it's reported that he shot thousands of hours of footage... I don't think all of it will be in the I Am Big Bird documentary or blu-ray. I noticed it didn't mention anything about bonus classic clips from these seasons. Hopefully those will be included as well. I hope to see Bruno, Aristotle, Leslie Mostly, Deena and Pearl, Dr. Nobel Price, Ferlinghetti Donnizetti, and Shivers the Penguin make appearances. As well as one of Michael Earl's performances as Snuffy. And I hope it includes the one Newsflash that doesn't have Kermit (two of the season 11-15 premieres feature news segments with Kermit). I'll be surprised if there's no Teeny Little Super Guy. I had noticed that Kermit hadn't been in any Sesame Street DVD releases since The Muppets came out last year (though he was in some of the iTunes episodes). I would hope that the popularity of the movie and Muppets franchise relaunch hasn't caused Disney to deny permission for Kermit to be in new DVD releases of old Sesame Street material (if that's possible). I know that at least four Kermit segments show up in these five episodes. FrackleFan2012 and minor muppetz like this. 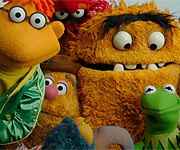 The A&E special also had some behind-the-scenes footage of current episodes (at the time) as well, like Ernie's Instant Rhyming Game, the hurricane episodes, as well as a look at the writing staff's beginning of the season conference, Stephanie D'Abruzzo presenting Lulu to the writers, among other things. Well well. This is quite a big surprise. I figured that because of all the hype about the previous having the subliminal messages about the sets not intended for today's generation of kids, Sesame Workshop would not be able to release more sets. This sounds like a dream come true for all us Classic Sesame Street fans. We'll definitely have to stay tuned for future details as well as a release date. minor muppetz and HeyButtahfly like this. I know that at least four Kermit segments show up in these five episodes. Looking over the contents of the season premieres again, turns out I was wrong. I mistook these season premieres for the season 16-20 premieres. This set should have at least two Kermit segments, both of which are news segments (The Elves and the Shoemaker and The Old Lady Who Lived in a Shoe). It's a shame those were not on the 40th anniversary DVD (then again, considering that behind-the-scenes footage was shot when the A&E Biography was being made, maybe A&E owns the rights to that behiind-the-scenes footage). They'd be out-of-place for a DVD set focusing on the 1979-1984 years. It would be great if this set could have some sort of tribute to Jerry Nelson. Maybe a short featurette, even if the clips are limited to what's on this set. HOORAY FOR WARNER BROS. & SESAME WORKSHOP FOR RELEASING OLD SCHOOL: VOLUME 3!!! This is really great, amazing news! I only hope this isn't instead of 'Best of Friends'. Sesame Street Old School Vol 3? sesamemuppetfan, Muppet fan 123 and Oscarfan like this. Well, that one seems to be a Target exclusive at the moment. If so, it'll get a wider release in a few months.